Mystery Science Theater 3000 is an American comic puppetry show that pokes fun at the worst bad movies that have ever been made. The premise of the program follows two mad scientists that trap a janitor and four of his robot assistants aboard a spaceship floating around space. The scientists' goal is to force those stuck on board the ship to watch terrible B movies in order to determine how to best take over the world. Each show begins with the same doorway sequence in which a dozen low-quality doors are shut until the janitor is completely locked in. The janitor, Joel, has no control over whether or not he watches a movie or even when he watches them. The scientists use harsh tactics, such as sucking the air out of the spaceship, to force Joel to watch the movies that they want played. Joel and his robot companions constantly make wisecracks during the movie, usually at every scene, to entertain them and keep them from losing their minds. Skits pertaining to the movies are performed throughout the show. The actors and directors are targeted in the jokes, mostly mocking their appearance, acting ability or how they are of similar quality to the bad film that they made. Mystery Science Theater 3000 largely attempted to recreate the cheap, cheesy and low-budget settings of the movies in its own production, with the set being made entirely from inexpensive and easily found household items. Many of the jokes and gags are continuations of past sketches that were drawn from movies featured in previous episodes, though it is not necessary for viewers to have seen the past film or episode in order to understand the joke. Following the showing of each film, the scientists become frustrated that their techniques have had little effect on Joel. It is Kinga’s wedding day and she coerces the Manager of the Hive Mind to fill the seats at Moon 13 with guests. Max, disheartened, receives a manly pep talk from Doug McClure (Joel McHale). An unexpected guest officiates the wedding. Guest starring Paul Chaplin, Bill Corbett, Kevin Murphy, Mary Jo Pehl and Rebecca Hanson. Jonah and the bots riff on At the Earth’s Core. Movie Plot: Dr. Abner Perry (Peter Cushing) is an English scientist who has invented a massive drill that can dig deep into the earth. Joined by his adventure-seeking American backer, David Innes (Doug McClure), Perry accidentally discovers an underground civilization of primitive humans who live in fear of telepathic flying monsters. David becomes intrigued by the beautiful native Dia (Caroline Munro), and must rescue her when she is chosen as a human sacrifice. Original film made in 1976. Kinga has decided to marry Jonah as a ratings stunt and asks Pearl to give her away. Jonah puts the finishing touches on his space suit. Guest starring series creator, Joel Hodgson as Santa and head writer, Elliott Kalan, as Mr. Whipple. Also guest starring are Bill Corbett, Rebecca Hanson, Kevin Murphy, and Mary Jo Pehl. Jonah and the bots riff on The Christmas That Almost Wasn’t. Movie Plot: Children unite to help Santa Claus (Alberto Rabagliati) and his wife, whose heartless landlord (Rossano Brazzi) wants the rent. Original film made in 1966. Kinga seeks advice from Gramma Pearl (Mary Jo Pehl) but is rejected, and instead has to settle for Pearl’s clone, Synthia (Rebecca Hanson). Kinga’s new liquid medium, Kinga Chrome, continues to misfire, while Jonah creates a training video with the bots for a grille and inn franchise. Guest starring Bill Corbett and Kevin Murphy. Jonah and the bots riff on Wizards of the Lost Kingdom 2. Movie Plot: A warrior (David Carradine), a boy (Bobby Jacoby) and a wizard must unite three kingdoms of the future. Original film made in 1989. Max finds a mysterious key that unlocks a gigantic, powerful robot he befriends and names Reptilicus Metallicus. Jonah sings a poignant song to Tom Servo illustrating the responsibility of magic powers. Jonah and the bots riff on Wizards of the Lost Kingdom. Movie Plot: A drunken warrior (Bo Svenson) helps the son (Vidal Peterson) of a slain wizard fight a wicked sorcerer (Thom Christopher) in the land of Axeholme. Original film made in 1985. The Mads invest heavily in a new brand of coffee by a rising entrepreneur named Todd Hitler. Jonah breaks down for Crow how to properly create a mix tape for listening to on space trips. Jonah and the bots riff on Yongary. Movie Plot: An earthquake from an atomic blast rouses an amphibious colossus, which then attacks South Korea. Original film made in 1967. Jonah and the bots realize the Mads have been stealing their ideas for Invention Exchanges. The Satellite of Love attracts a giant space squid, and Kinga and Max debut a promotional ad for their new venture, Dinosaur BBQ. Jonah and the bots riff on The Land that Time Forgot. Movie Plot: Bowen Tyler (Doug McClure) is among a small group of survivors taken in by a German submarine after the vessel has sunk their ship. When a struggle ensues between the German officers and their captives, the U-boat, which is running out of fuel, ends up coming across an uncharted island. Unfortunately for the passengers and crew, dinosaurs and other prehistoric creatures roam the land, and everyone must fight to survive the perils of the lost island. Original film made in 1975. Kinga and Max pitch several money-making ideas to big-time space venture capitalist, Freak Masterstroke (Jerry Seinfeld). The bots obsess over their newfound-devotion to Starcrash character, Akton. Jonah and the bots riff on Starcrash. Movie Plot: An outlaw smuggler and her alien companion are recruited by the Emperor of the Galaxy to rescue his son and destroy a secret weapon by the evil Count Zarth Arn. Original film made in 1978. Crow and Tom don mysterious costumes inspired by the film and perform an unnerving parade. Jonah and the bots discuss how other popular movies could benefit from dinosaur attacks. Jonah and bots riff on The Beast of Hollow Mountain. Movie Plot: A Mexican cattleman's (Eduardo Noriega) beef with a rancher (Guy Madison) is settled by a tyrannosaur from the local swamp. Original film made in 1956. Max ruefully considers his affection for Kinga while she openly declares her love for online soul mate, Neville LaRoy (Neil Patrick Harris). Together they sing the hit song, “Our Love is On Wings (You Can’t See).” Jonah and the bots riff on Rock Hudson’s Avalanche. Movie Plot: Hanging over a new ski resort are charges of corruption and a big snow wedge that's been there for years. Original film made in 1978. Jonah introduces a series of new robots to Tom and Crow with unexpected results. The Satellite of Love receives visitors Larry (series creator, Joel Hodgson) and Dr. Varno (head writer, Elliott Kalan). Jonah and the bots riff on The Time Travelers. Kinga and Max celebrate the 200th episode of MST3K. Movie Plot: Research scientists experimenting with time warps are accidentally propelled forward into an unbearable future. Original film made in 1964. Pearl Forrester, Bobo and Brain Guy pay an awkward visit to Moon 13 revealing fractured family dynamics. Jonah starts working on a space suit. Special guest stars Bill Corbett, Kevin Murphy and Mary Jo Pehl. Jonah and the bots riff on Cry Wilderness. Movie Plot: Bigfoot's ghost brings a boy (Eric Foster) to where his father (Maurice Grandmaison) and a hunter are mistaking Bigfoot for a Bengal tiger. Original film made in 1986. Jonah Heston is shanghaied during a space mission by Kinga, Dr. Forrester's ambitious daughter. Jonah does a major redesign on Gypsy. Tom Servo and Crow settle in with Jonah as they riff on Reptillicus! Movie Plot: Copenhagen is terrorized by a prehistoric beast that has regenerated itself from a recently discovered tail segment. Original film made in 1961. The series' revival is comfortingly familiar. Is 'Mystery Science Theater 3000' Revival Worth the Wait? The new version of the series has some big, funny shoes to fill. New episodes of MT3K are going to hit Netlix in three weeks, and now we know what they're going to look like. With a successful crowd-funding campaign already in the bag, the revival of MST3K was going to happen anyway, but now we know where we'll be able to see it. The revival of MST3K won't be ready any time in the near future, but in the meantime, fans of the show can geek out over an unprecedented reunion of the entire cast. The Mystery Science Theater 3000 revival is definitely going to happen, and it's going to happen with some big names attached. With the support of crowdfunding, Mystery Science Theater may finally get the revival that fans have wanted for years. That, anyway, is the hope of the series' creator, Joel Hodgson. Mystery Science Theater 3000 is currently available to watch and stream on Syfy. 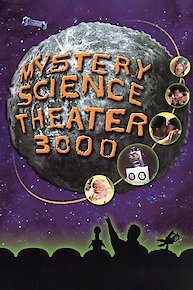 You can also buy, rent Mystery Science Theater 3000 on demand at Netflix, Vudu online.